The celebrations of Apokries (Greece’s Carnival) culminate on Forgiveness or Cheesefare Sunday, it is the last day that orthodox traditionally eat dairy products and celebrate before the first day of Lent. In Greece, this day is redolent of traditions, customs, and, of course, delicious recipes. The advent of the carnival season, a period known in Greece as Apokries, marks the peak of indulgence in food and festivities. This period, however, ends with the start of the longest fasting period of the Orthodox calendar: the forty-seven-day pre-Easter Lenten fast. 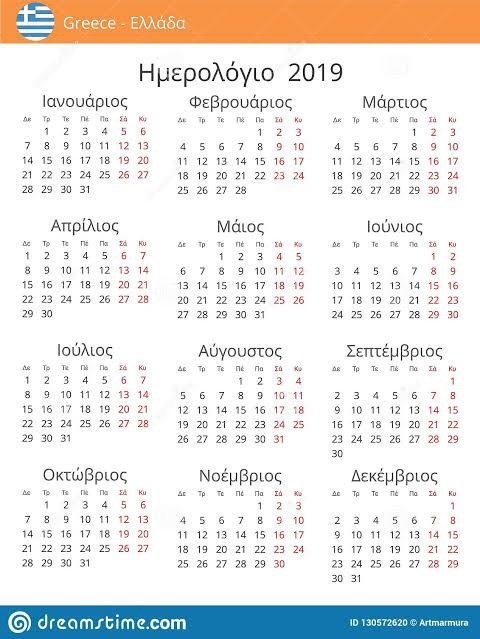 The Greek word “apokria” refers to the weeks of the gradual change in diet prior to the discipline of Lent, also known as Great Lent or “Sarakosti.” This period of Apokries spans the three weeks before the onset of Great Lent. The popular tradition of celebrating Apokries culminates during the weekends with masquerades, parades, parties, and of course, the abundance of traditional foods. While the most popular carnival today is that of Patras, other cities and smaller towns carry out their own regional traditions. What is today a tradition espoused by the Orthodox Church actually stems from the pagan rites of the ancient Greeks and the festivals of Dionysus, god of wine and merrymaking. In ancient times, people would disguise themselves as satyrs, wearing masks and pouring into the streets and neighborhoods. They would behave”inappropriately” with risqué actions, while hiding their true identity behind costumes. This lively celebration was also held in anticipation of springtime. Paradoxically, this celebration would involve rituals dedicated both to a “new life” (the budding of trees, vineyards, flowers, etc. ), as well as to the souls of the dead which were believed to ascend to the “upper world” around the 1st of March. With the beginning of Christianity, the Church tried to subdue the pagan practices and replace them with Christian practices. Hence, during this period, we find the practice of having special liturgies and memorial services like the Saturday of the Souls, in which people take boiled wheat (koliva) to church and divide it among the congregation afterwards in memory of their loved ones. In this way, the pagan practices were so deeply rooted that they were not completely weeded out. Instead, they were transformed into Christian practices. According to the Orthodox Church, the gradual change in diet is more than just a matter of food intake. Allowing us to transition from one spiritual state to another through this gradual change in diet, the Church acknowledges our human weakness. All celebrations culminate on Cheese Fare Sunday, the last day of celebration before Pure Monday, or Clean Monday, which marks the first day of Lent. 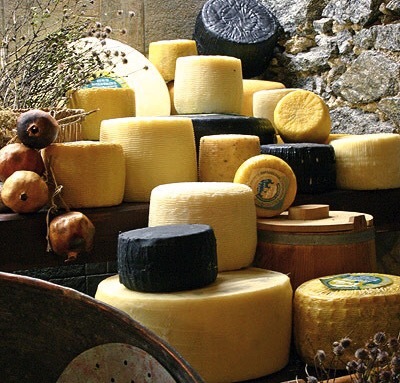 Cheese Fare Sunday hosts an abundance of local traditions and culinary repertoires. There is a continuation of the festivities that began the first Sunday of Apokries, with people masquerading through the village and town streets, followed by feasting on traditional dishes made with fish, cheese, milk and eggs, as meat was abandoned the previous week of Meat Fare Sunday. Some traditional satirical songs carry out the theme of bidding goodbye to “Cheese” (Tyros) and welcoming in the “Onion” and the “Leek.” All this, of course, in reference to the upcoming fast, where the “lowly” vegetable will now take over as the main course. In the central Peloponnese, specifically within the region of Arcadia, there is the tradition of eating what is called “tyrozoumi,” a soupy stew of wild greens heavily garnished with chunks of mizithra cheese. This serves as a first course and everyone at the table is expected to partake of it after first raising the table with their hands three times. Following the tyrozoumi, comes the main course- macaroni sprinkled with lots of cheese. During the course of the evening, the unmarried young people are supposed to “steal” a piece of macaroni and place it under their pillow that night in order dream about the person they are to marry. The Vlach communities of the mountainous regions of central Greece make traditional “galatopites,” or milk pies, along with cheese pies, and pies filled with trahana, a homemade meal of wheat flour or cracked wheat—all of course, made with homemade phyllo. On the island of Karpathos, the entire town is traditionally invited to the home of the mayor, where a large buffet is laid out with succulent fish and dairy products. Special sweets made with mizithra are also served, as well as rice pudding and a special drink called “sitaka,” spiced with butter and honey. In the islands of Kea and Milos, the remnants of food from the feast of Cheese Fare Sunday are left on the table until the following morning, just in case “the ghost of the house” gets hungry during the night. Today, most of these traditions have died out, with weak and scattered attempts to retain them in some of the more rural areas of Greece. Even so, most people will still partake of traditional Cheese Fare Sunday dishes, whether it be in their homes or at some local taverna.